Everything You Wanted To Know Straight From The Dentist! Our bodies are amazing — from the way our heart functions to the way the immune system attacks foreign invaders to keep us healthy. While every part plays a role, have you ever paused and realized just how incredible our mouths are? 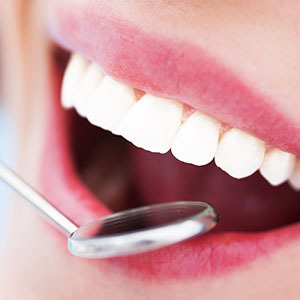 Our mouths seem like a simple enough structure, but under the teeth, tongue, and gums, there is a web of intricately connected components that make the mouth, a mouth! While dental health may not be your passion, it is at Precision Dental of Windsor! We know you have a myriad of choices for Windsor dental offices, but no others value individualized care as we do. When you come here, you can always rest assured that you will get the best course treatment from leading dental care professionals. If you have always wondered about the magic behind your mouth, dive deep into this subject with us in today’s post! Your mouth is a blueprint to your health and it is often one of the first defenses to ward off illness, thus, it plays a crucial role in your physical and oral health. With the staggering statistics of Americans with dental issues, this health space is one that we need to be more diligent and intentional with. Because of these oral health needs that go unmet, there is a reason Americans widely have systemic health concerns — they relate directly back to their oral health. Let’s get a closer look at the components of your mouth! The skin that lines every part of your mouth except your teeth is referred to as gingiva or oral mucosa and it functions much in the same way the skin on your body does — it helps shield harmful bacteria as a barrier. Within the gingiva is a nerve pathway which helps give rise to the senses in our mouth including touch, taste, and temperature. The oral mucosa also has ducts which guide saliva through the oral cavity. Much as the oral cavity is a mirror to your health and can indicate illness, such as a discoloration in the oral mucosa may signify right-sided heart failure, iit can also suggest digestive issues. Most identify the lymph system in their armpits or right below your jaw, but the mouth has a set of lymph vessels that help circulate the fluids on your mouth. The fluid being moved in your mouth is transported to larger lymph centers in the body, which help to keep you healthy. The lymph vessels being present in the mouth helps combat bacteria to keep you healthier. If anything, your mouth functions to support you and your overall health through the oral mucosa and lymphatic system. There are a couple more components that contribute to the functioning of your mouth, but we’ll save that for another post — stay tuned for part two. To schedule a dental exam, call our dental office today!